Can I Pursue a Medical Malpractice Case if I Signed a Consent Form Before I had my Procedure That Caused the Injury? Yes, the consent form does not protect a medical professional from liability if they were negligent and caused harm. Therefore, you can still pursue recovery if you were a victim of medical malpractice. What's The Goal Of Informed Consent Forms? Consent forms are meant to inform patients of possible risks of a procedure, but medical malpractice lawsuits are based on negligence on the part of the doctor or hospital . If your injury was caused by their negligence, then you may be a victim of medical malpractice. This means that they did not adhere to the standard level of care that is expected when performing that procedure, and this resulted in your injury. What Are The Requirements Of Informed Consent? Informed consent is a bedrock principle in modern medical care. The idea is that patients have the right to make informed decisions about the kind of care that they receive. Consequently, medical professionals must inform them of certain things regarding the care they will give in order for the patients to make that decision. Generally, the factors that doctors and others must tell them relate to the type of procedure being formed, the types of risks faced, the alternatives that exist, and the potential benefits. What Is Not Required For Informed Consent In Medical Situations? In certain circumstances, medical professionals do not need to inform you of things prior to giving you treatment. First of all, if what they're doing isn't even considered care, then informed consent is not needed. For instance, if a doctor is just taking your vitals or getting your weight, then this isn't really considered treatment sufficient to warrant informed consent. Second, if there is an emergency and the doctor cannot obtain informed consent, then he or she will not be liable for still rendering treatment. Third, if the patient is a child or incapacitated, then the doctor or other professional need not seek informed consent from them but they generally have to obtain it from the person's guardian or parents. Wondering If You Can Still Pursue Recovery For Medical Malpractice? 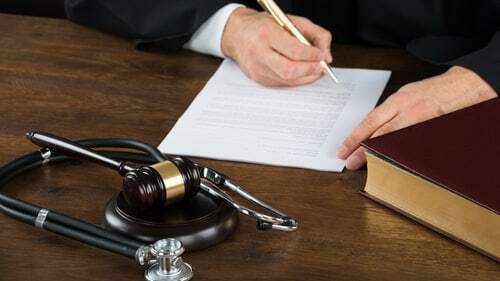 Illinois' laws and rules governing medical malpractice lawsuits might sound foreign to you but Rosenfeld Injury Lawyers LLC has mastered them after representing countless clients. We can figure out if you have a case and how you should form it. Contact our offices to hear about your best path to recovery. Can I Sue For Medical Malpractice If My Operation Did Not Get The Results I Was Hoping For? Do All Chicago Medical Malpractice Lawsuits Go To Trial? How Does The Court Decide If A Health Care Worker Was Negligent Under Illinois Law? How Much Does It Cost To Hire An Illinois Malpractice Attorney? What Does 'Medical Malpractice' Mean? What Should I Do If I Think I May Have Been Injured Due To Medical Negligence At An Illinois Hospital?